Do more. Travel less. Be present. Meeting tools for business. Anytime. Anywhere. The industry leader in USB HD video conferencing. Bundled solutions with a camera, microphones, and a speaker for easy room set up. 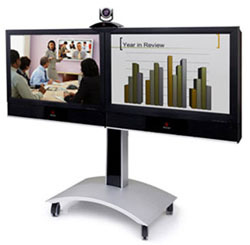 Convert your meeting space into a video conference room and have more effective meetings. Fits all companies no matter if you are new to video conferencing or a routine user, try Vaddio and see how much better communication gets using video.